.FUNAAB Postgraduate admission for 2018/2019 session has commenced. Applications are invited from suitably qualified candidates seeking admission to the following Postgraduate Diplomas, Masters and Doctor of Philosophy Degree programmes at the Federal University of Agriculture, Abeokuta, Nigeria. For available courses, check the attached pdf document. To be eligible for admission to the Postgraduate Diploma Programme, candidates must be first degree holders in a relevant discipline from any recognized University. In general, all applicants must satisfy basic UTME requirements for Bachelor’s degree. Holders of HND with Upper Credit and above could also apply. Candidates with Postgraduate Diploma in Communication studies with a minimum cumulative average of 55% may be considered for Postgraduate Master’s in Communication Studies. In addition, possession of relevant professional qualification and/or experience will be an advantage. A credit pass in O’-Level Mathematics is not compulsory for admission into PMCS programme which is strictly part-time (Friday and Saturday) programme. The duration of the programme is a minimum of 4 semesters. Masters of Veterinary Science (M.V.Sc) and Master of Science (M.Sc) courses are open to: (i) M.V.Sc – Master of Veterinary Science is open to Graduates of Veterinary Medicine of FUNAAB and other University recognized by Senate. Any other qualification adjudged to be equivalent to a DVM by the Senate. Candidates must satisfy any other requirements as specified by the postgraduate school of FUNAAB. (ii) M.Sc: – The Master of Science degree is open to Graduates of Biological Sciences of FUNAAB other institutions recognized by Senate. Fellows of the Nigerian Institute of Medical Laboratory Technology or its equivalent may also be considered. Candidates must satisfy any other requirements as specified by the Postgraduate School of FUNAAB. 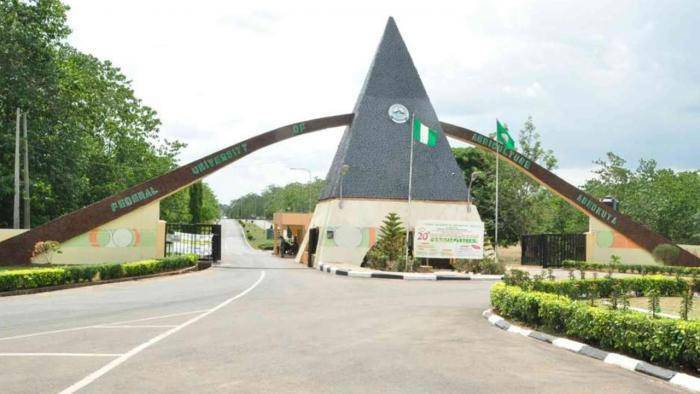 To be eligible for admission to the Doctor of Philosophy degree programme, candidates must have obtained a Master’s degree from FUNAAB or its equivalent from any other University recognized by Senate. Holders of one year Master’s Degree are expected to undergo a conversion examination after the first session before proceeding to a Ph.D programme. Candidates for academic Masters and Ph.D programmes shall be required to submit a research proposal along with their application forms, and may be required to interact (in oral or written form) with their respective Departments before admission. Closing date for online Submission of Application for Masters and PGD programmes is Saturday, March 16th, 2019. Application for Ph.D is open all year round. Successful applicants will be contacted by e-mail or telephone.